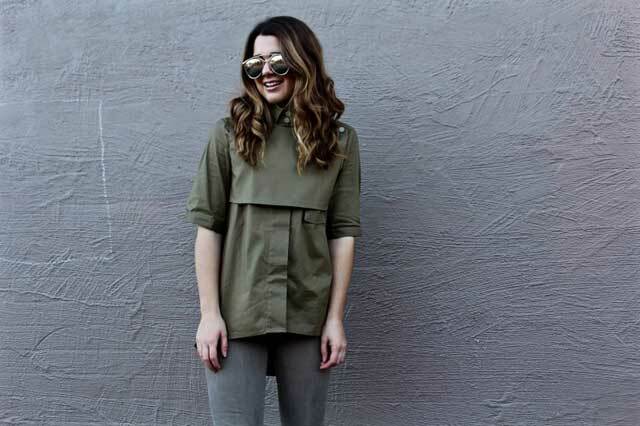 Stylish, smart and savvy - University of Canberra alumna Jemma Mrdak is a communications coordinator by day, and runs a successful fashion blog and social media management company by night. The UC graduate completed a double degree with a Bachelor of Public Relations and a Bachelor of Arts in 2014 and now works as the Communications Coordinator for Raytheon Australia. Combining her 'passion for fashion' and all things social, Jemma manages to successfully juggle her fashion and lifestyle blog, A Stylish Moment as well as a social media management business, Dak & Co between her full-time work. We recently spoke to Jemma about balancing her many roles, and tips for starting a small business. You run the successful blog, A Stylish Moment. What is the story/inspiration behind your blog? I started A Stylish Moment when I was in my second year of University. I remember during one of my lectures one morning, our lecturer explained to us that the more we could build our portfolio of writing work whilst we were still at University, the better. So, I started the blog, never with the initial intention of turning it into something big, but I’m so glad that it has now become a big part of my life. It’s something that I’m striving to turn into a full time job for me. I love blogging, and I love the concept of writing and connecting with others who are likeminded and share similar tastes and interests. A lot of the skills I learnt at University, I’ve used for my blog too! Your blog covers a range of topics from beauty to fashion, food and digital marketing. What are you most passionate about? Originally my blog was used as a platform to document my everyday style and outfits, and now it has definitely turned into a blog about my fashion, my personal style, life, and experiences, as well as travel. I also work with and mentor bloggers who are new to the blogging world, and assist them in their digital marketing and content strategies. Helping others who were in the same boat as me when I was first starting out, is what I’m most passionate about.I have also begun to share a lot more of a personal side to me, especially regarding health and fitness and mental health. And this is something that I hope will help others too. What are your top tips for starting a blog? And what are some of the lessons you learnt along the way? There are so many things I wish I had known when I first started blogging, but I guess that’s what blogging is all about really; learning and developing your skills along the way. When starting a blog I think it’s really important to think of a name that you are 100% happy with to represent you and your brand. It’s also important to purchase your domain name and register it, so that it’s yours and no one else’s. Before starting any goals, also remember why do you want to blog in the first place, and what you want to get out of it. If your first intention is to just make money and become “famous”, then you’re in it for all the wrong reasons! The reason for having a personal blog is that it’s about your thoughts – so keep it that way and never let others influence you. You just started your own small business, Dak & Co. How did this develop? Dak & Co is a social media management business designed to assist small business owners and bloggers with their social media management and digital marketing strategies. Over the last couple of years I have been working with a few small businesses around Australia with their content development and social media management. It’s something that I’m really passionate about, so I decided to turn it into a business! You manage your blog, work full-time and contribute to a range of publications. How do you balance your work and personal life? What are your tips for time management? Time management is super important when it comes to managing small businesses and working fulltime, and it really is all about having the right balance. The thing with blogging is that it’s always going to be part of my life – both work life and personal life, so it’s important for me to take time out sometimes and have a break from it all. Also, by setting my daily goals each morning, I find that I’m able to stay on track and keep aligned with balancing everything. Oh, and I make lists and lots of them! I’m also lucky that I have a really special support network of people who believe in what I do and are there to always support and help me along the way. That each day is different, every person I meet is different and has a different story, and life is always evolving into something exciting! Do you have any tips for aspiring bloggers or young graduates thinking of starting their own small business? Just do it. Get a piece of paper and a pen, and just write down your idea and go crazy from there. I think having a business plan is super important, and is something that you can refer to later on, so that you stay on track. Also, if you’re not going to do it – then someone else will, so jump on it! What does the future hold for A Stylish Moment? Do you have any big plans or exciting projects in the pipeline? The future is pretty exciting for A Stylish Moment. Within the last year, the blog has grown immensely, and I’m so ready to take on what opportunities are thrown my way. I’m a massive go-getter, so I’m constantly seeing what I can do to grow my business and opportunities. Words by Stephanie Cossetto & Jemma Mrdak, images courtesy of Jemma Mrdak. Jemma Mrdak graduated from the University of Canberra with a Bachelor of Arts and a Bachelor of Public Relations, majoring in Events and Business Management. She currently works as the Communications Coordinator for Raytheon Australia. 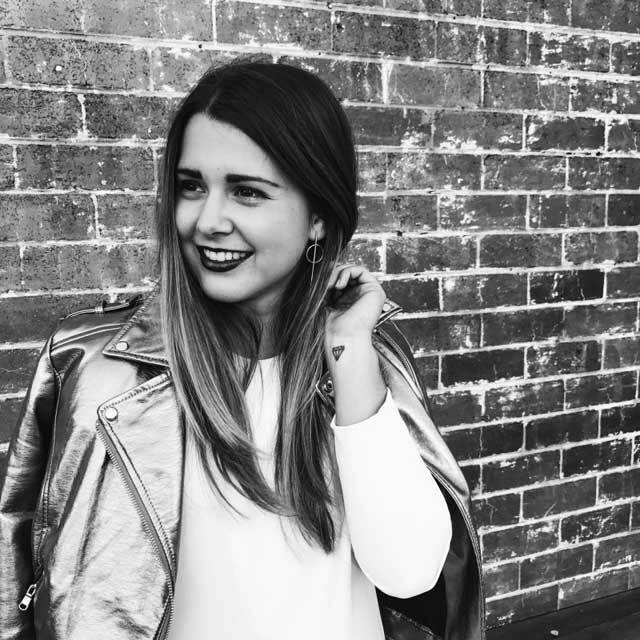 Jemma is the founder of lifestyle and fashion blog, A Stylish Moment, and runs her own social media management business, Dak & Co.